When flu season is in full swing, it's more important than ever to eat a healthy diet, get enough rest, and practice proper hygiene to avoid getting sick. But did you know that green tea can also help you avoid the flu? In fact, a recent clinical trial showed that green tea-based supplements reduced the risk of flu in adults by a stunning 75%. This is even better than the 60% risk reduction by flu vaccinations as reported in the Lancet! With all of green tea's other known health benefits, this is just one more compelling reason to add green tea to your health regimen. For many years it has been known that green tea polyphenols actively supress many bacterial, fungal and viral species. On the virus front, green tea supresses the adenovirus, Epstein-Barr, herpes simplex, HIV-1, hepatitis B and hepatitis C, and influenza viruses. 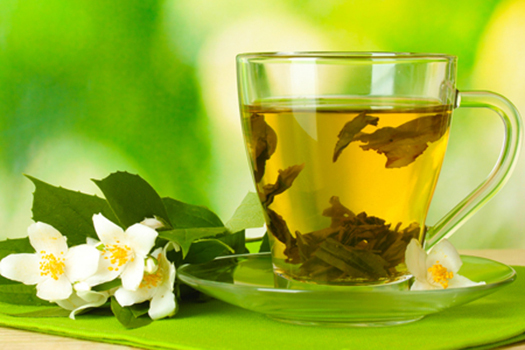 EGCG, one of the main polyphenols in green tea, is mainly responsible for this suppression. Specifically, ECGC binds to the hemagglutinnin of the influenza virus, which blocks it from attaching to (and infecting) target receptor cells. EGCG also alters the virus cell membrane, which further inhibits its ability to infect other cells. In fact, green tea is such a strong viral suppressant it has even been shown effective as an anti-viral hand wash! Another important component of green tea is the amino acid L-theanine, which has been shown to activate human gamma-delta-T lymphocytes to proliferate and make interferon-gamma, a potent antimicrobial cytokine. These lymphocytes are considered to be the body’s first line of defence against infection. Green tea therefore offers a two-pronged protection from the flu which vaccination simply cannot match. But for final proof, we need clinical trials. One early trial using green tea against the flu involved gargling three times daily with a weak solution of green tea (50 mg of catechins per cup, of which 60% was EGCG). The theory was that since the throat was a major infection site of influenza, gargling could stop the flu virus there. The theory was right: 1.3% of garglers contracted the flu vs. 10% of the control group. In another more sophisticated trial on 97 healthy adults, a proprietary blend of theanine and green tea polyphenols (apparently worth about 10 cups of green tea per day, but exact amounts were not disclosed) was used for three months during flu season. This trial was randomized, double-blind and placebo controlled. 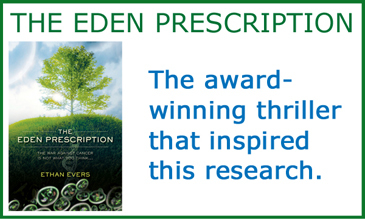 The supplement takers experienced 32% less illnesses and 35% fewer “symptom days.” However, participants were included in the statistical analysis even if their compliance (actually taking the green tea pills) was only 70%. More recently, a better controlled trial was performed on 198 health care workers. This was randomized, double-blind and placebo controlled: the gold standard in clinical trials. The treatment group was each given a daily dose of 378 mg green tea catechins (containing 270 mg EGCG) and 210 mg of theanine from November 2009 to April 2010. The compliance rate in this trial was better: 93% took their pills according to plan. Those taking the green tea experienced 75% less clinically defined flu infection and this was statistically significant (P=0.022). But not all observed sicknesses were bona fide flu. When laboratory tests were used to confirm real influenza infection, it showed that green tea provided a stunning 83% reduction in flu risk, however this was not statistically significant (P=0.112) due to the small number of actual flu cases. This new trial has shown surprising effectiveness of green tea for avoiding the common cold and influenza. The amount of EGCG used in the trial is readily available in many supplements, and is about five cups-worth of green tea. This just happens to also be the amount required to achieve meaningful risk reductions in multiple cancers, including ovarian, endometrial, prostate, oral, liver and lung cancer. And for those who eat citrus fruit on a regular basis, there is strong evidence from a recent study in Japan that green tea synergizes with citrus fruit, resulting in nearly 20% further risk reduction from cancer compared to just green tea alone.